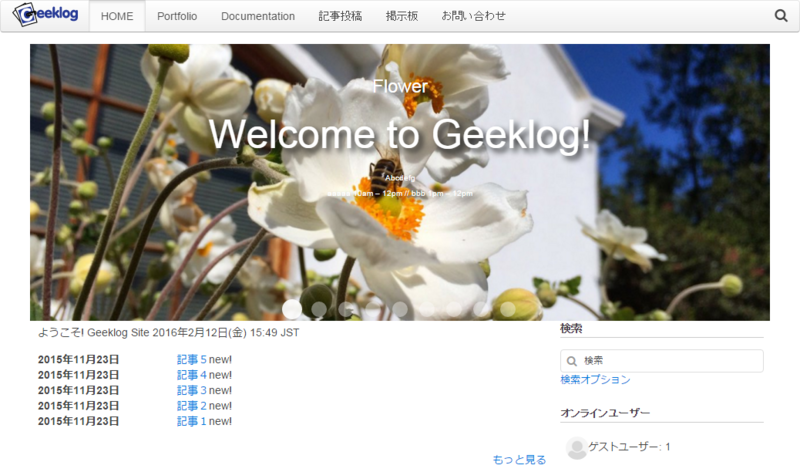 Release the theme "newspaper_en" of accessible and responsive Web design for the first time in Geeklog. 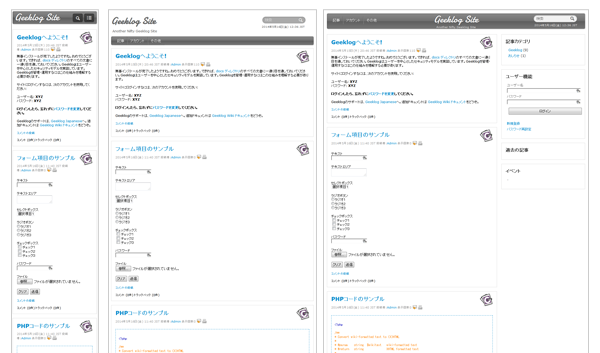 Tableless layout and using CSS 2.0. 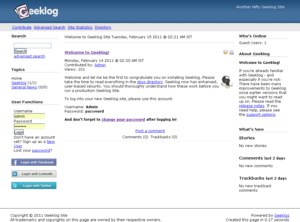 Theme maker for Geeklog 1.7.1. 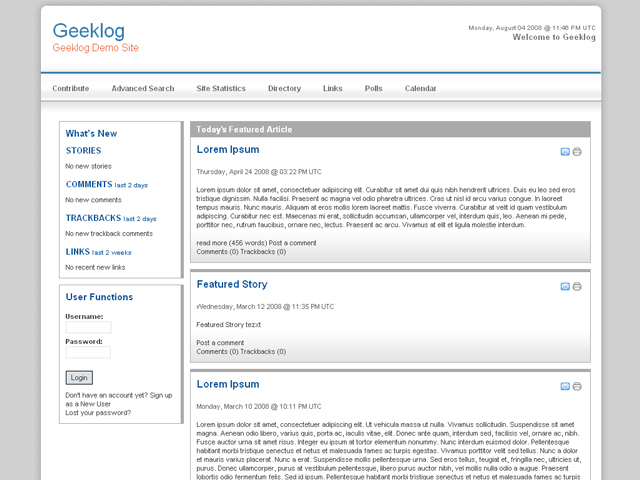 Adeliae_en is based on the ProfessionalCSS_en theme for Geeklog1.7.0. 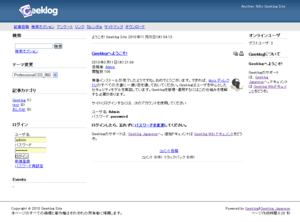 Some block design are added. 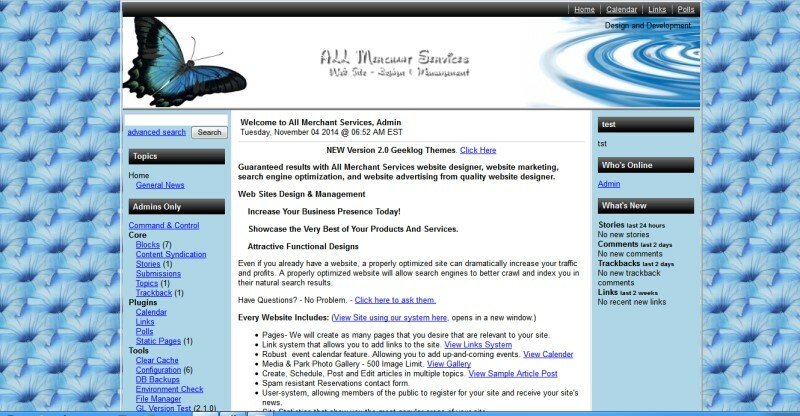 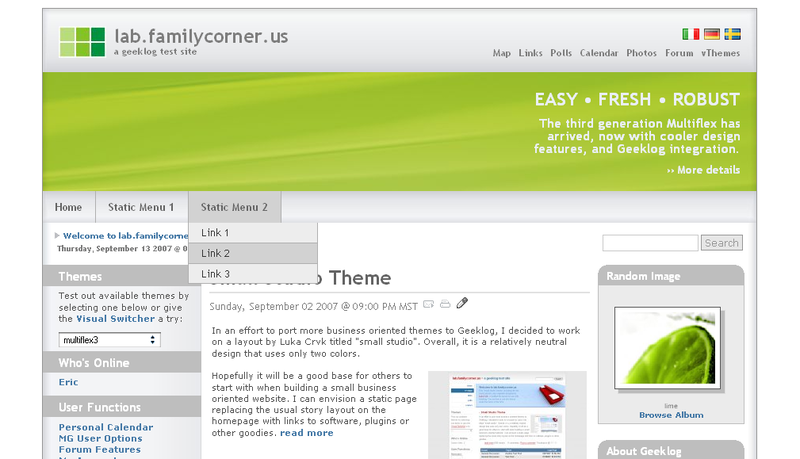 Original file is custom.css, images/custom/, functions.php and some templates for blocks. 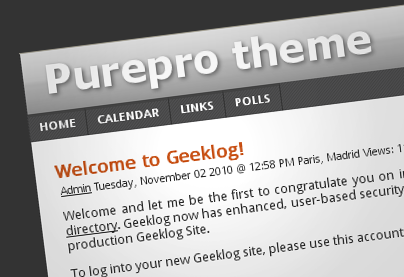 Purepro theme is the default theme on geeklog.fr updated for Geeklog 1.7.0. You can manualy change settings (layout, colors, menu...) in the default-settings.php file. 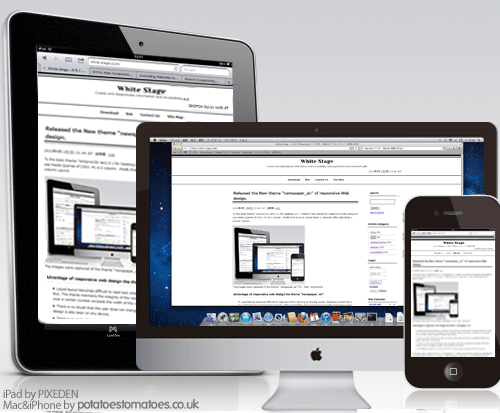 Purepro need to have write permission to the purepro/css folder. 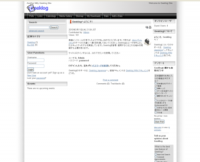 Delete the purepro/css/my-site folder to rebuild css with new layout, color, menu... settings. 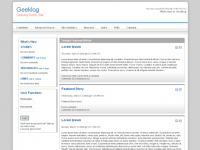 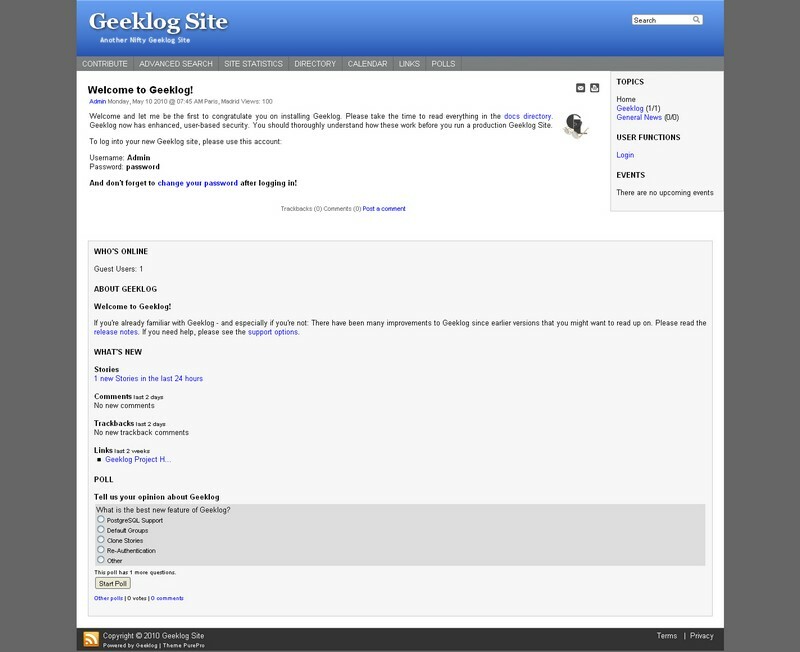 Geeklog Theme CSS 2.0 and eliminate table tags. 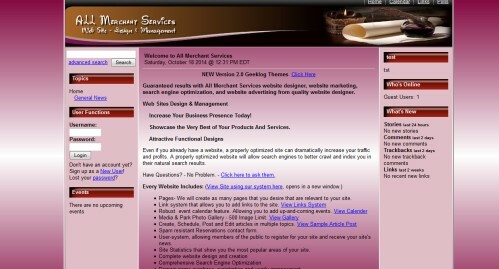 Design is based on professional. 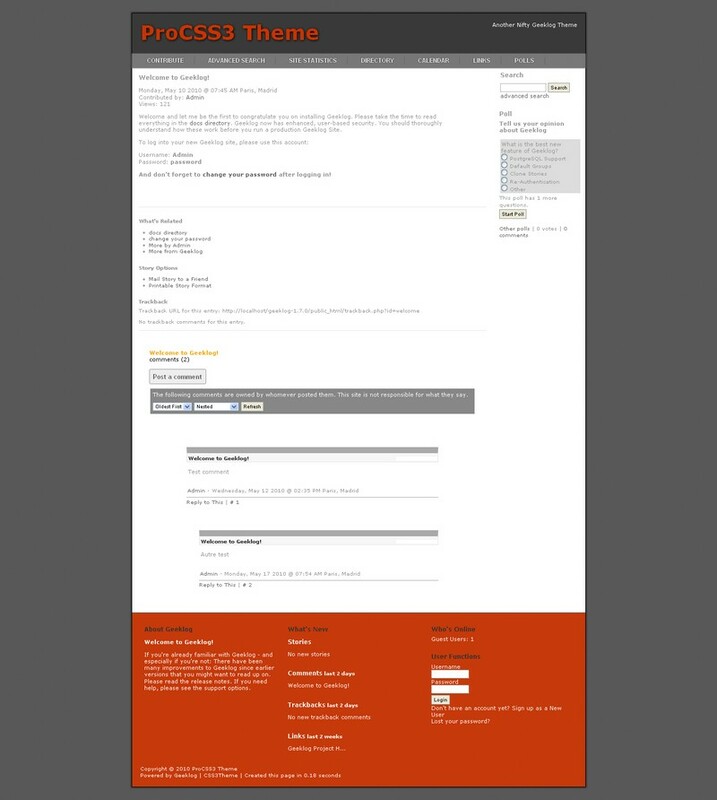 So we can set multi column layout. 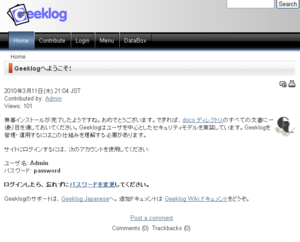 Minimal theme offers a clean design that works with Geeklog 1.5.0.